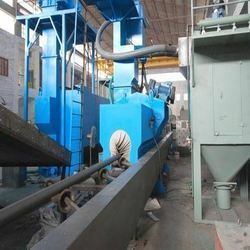 Providing you the best range of swing table type shot blasting machine, shot blasting machine, hanger type shot blasting machine ash-4, hanger type shot blasting machine ash-5, airless swing table type shot blasting machine and diabola conveyor tunnel type airless shot blasting machine with effective & timely delivery. 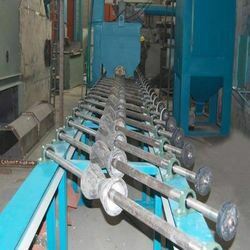 Wheel Size 19.5" * 2.5"
Offered Shot Blasting Machine is manufactured by our professionals using finest grade material at par with industry norms. 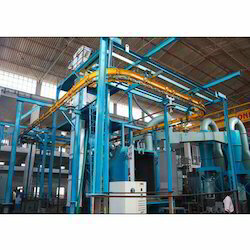 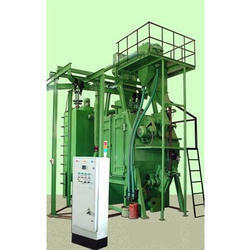 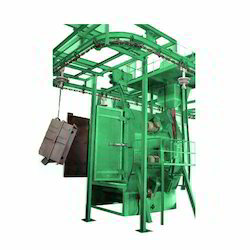 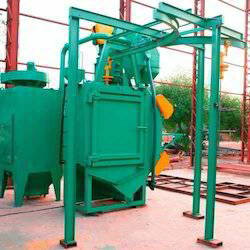 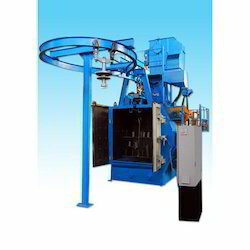 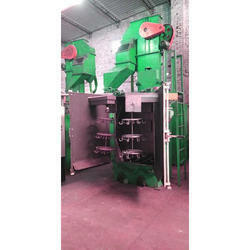 We are actively engaged in manufacturing, trading and supplying Hanger Type Shot Blasting Machine ASH-4. 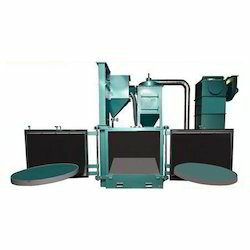 Our rich industry experience enables us to manufacture, trade, and supplyHanger Type Shot Blasting Machine ASH-5 that gives High quality surface cleaning. Our technical expertise enables us to manufacture, trade, and supply a superior quality Airless Swing Table Type Shot Blasting Machine. 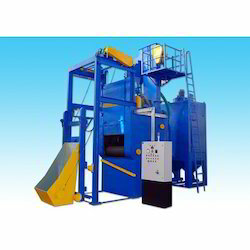 Load Carrying Capacity of Hanger (Kg) 12.5" * 2.5"
We are dedicatedly engaged in manufacturing and trading a matchless range of Diabola Conveyor Tunnel Type Airless Shot Blasting Machine to our esteemed customers. 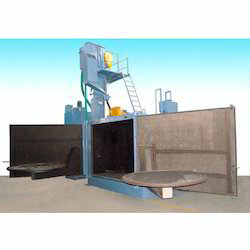 We are actively engaged in manufacturing, trading and supplying Hanger Type Airless Shot Blasting Machine ASH-2. 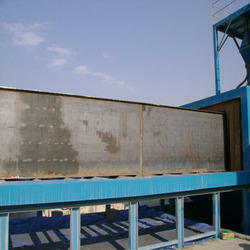 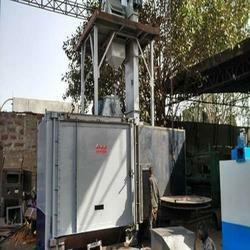 Owing to our expertise, we have been able to offer our clients an excellent quality Structure Shot Blasting Machine. 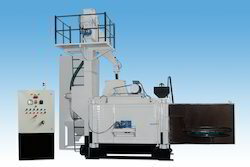 Our technical expertise enables us to manufacture, trade, and supply a superior quality Diabola Type Shot Blasting Machine. 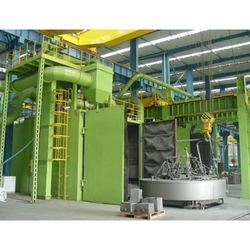 Size of Wheel 15.5" * 2.5"
Wheel Size (inch) 19 1/2"
Wheel Size 12.5" * 3.5"
We are actively engaged in manufacturing, trading and supplying ROD Bar Shot Blasting Machine. 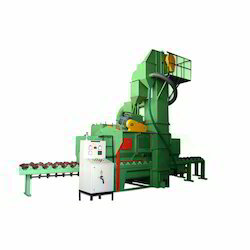 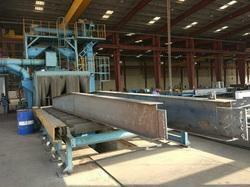 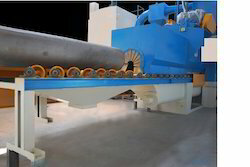 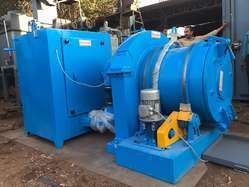 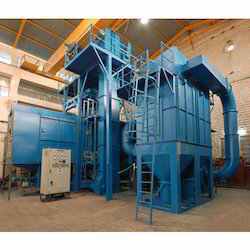 We are offering Rotary Barrel Shot Blasting Machine Model AB-RBF-01. 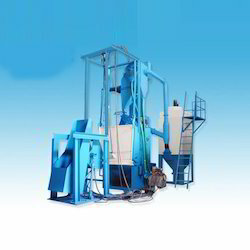 Size of wheel: 19.5" * 2.5"